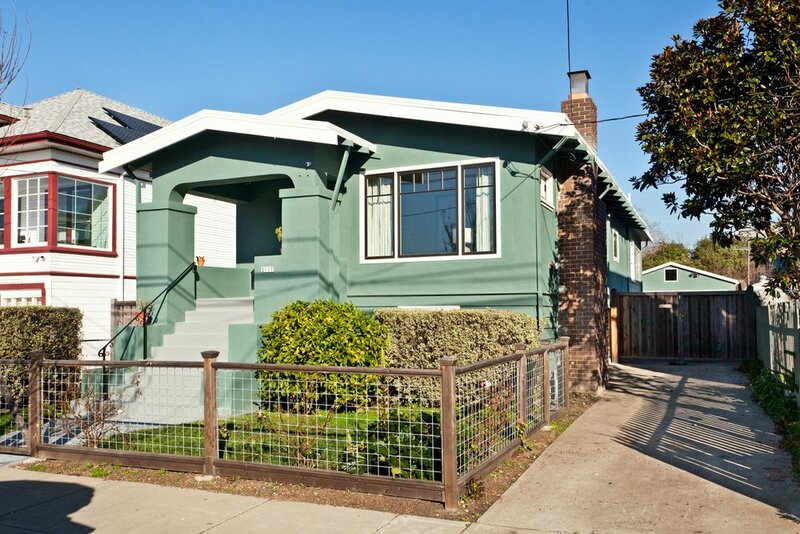 Lovely and well maintained West Berkeley bungalow. Updated kitchen and bath, newer windows, huge patio, spacious fully fenced yard, long driveway, full basement, 2 car garage or fantastic studio. Plus flex space for guest room with bathroom, home office or playroom.